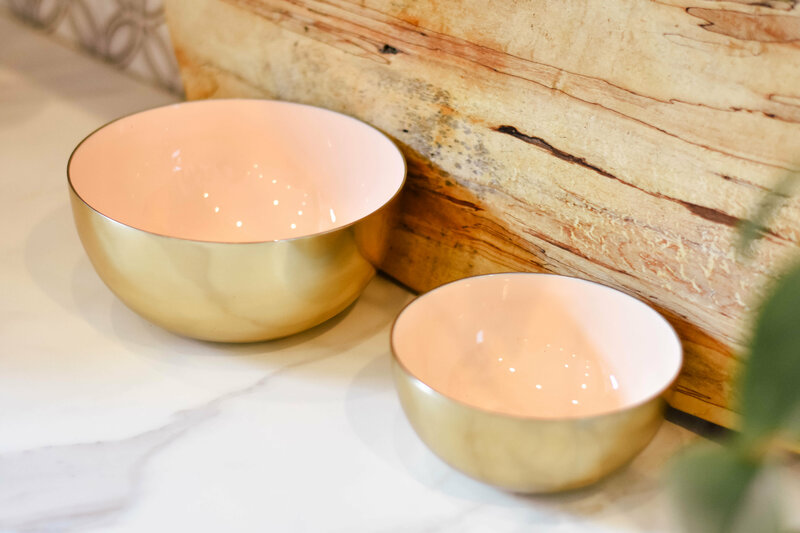 This listing is for the larger version of our gold and pink mixing bowls. 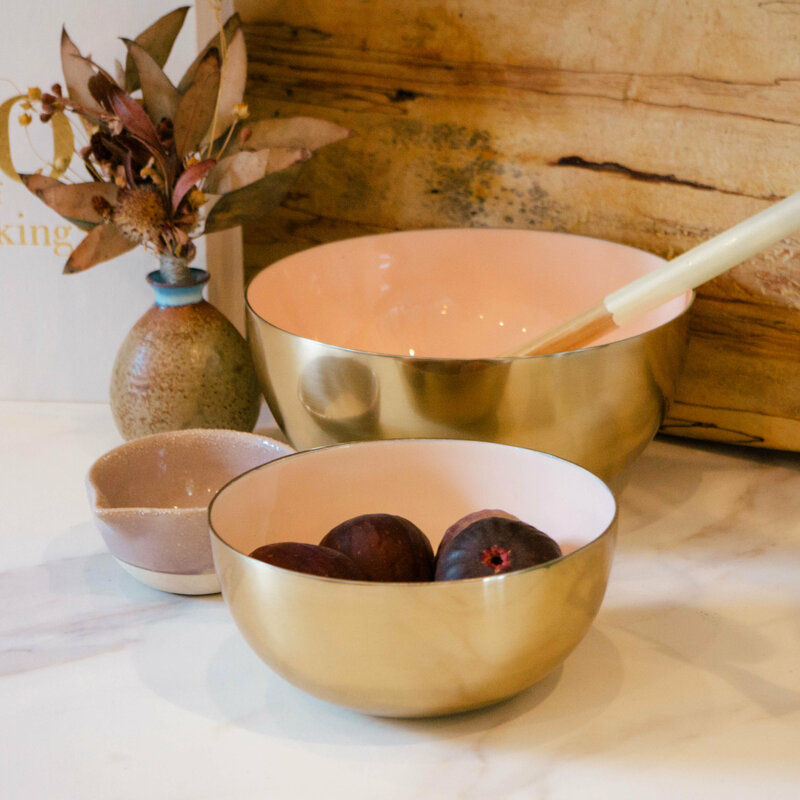 These bright bowls will make baking even more fun and bring a modern flare to your kitchen. 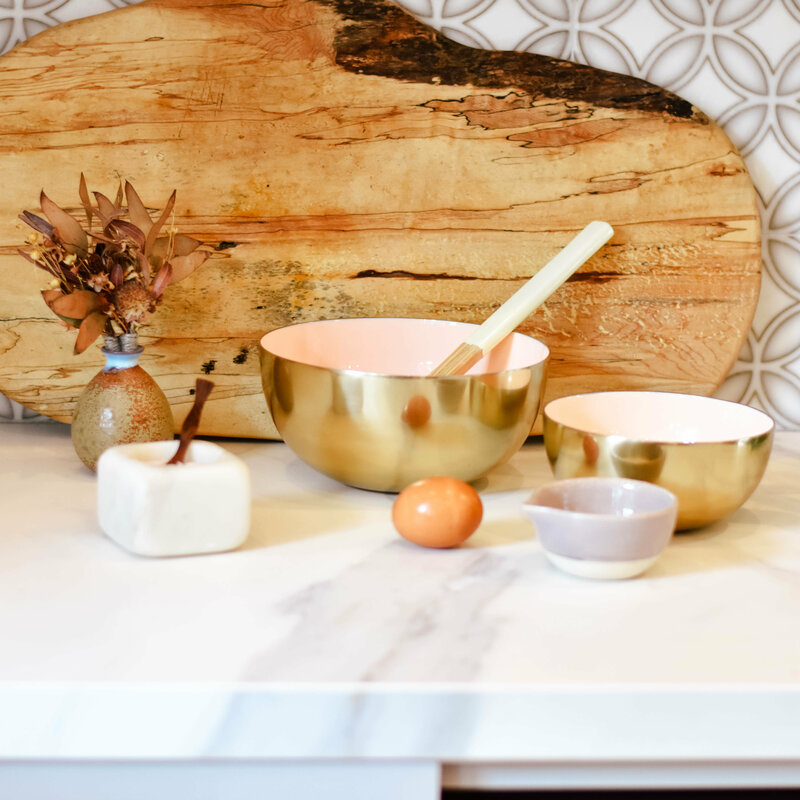 They're perfect for mixing up a large batch of cookies or cake batter! 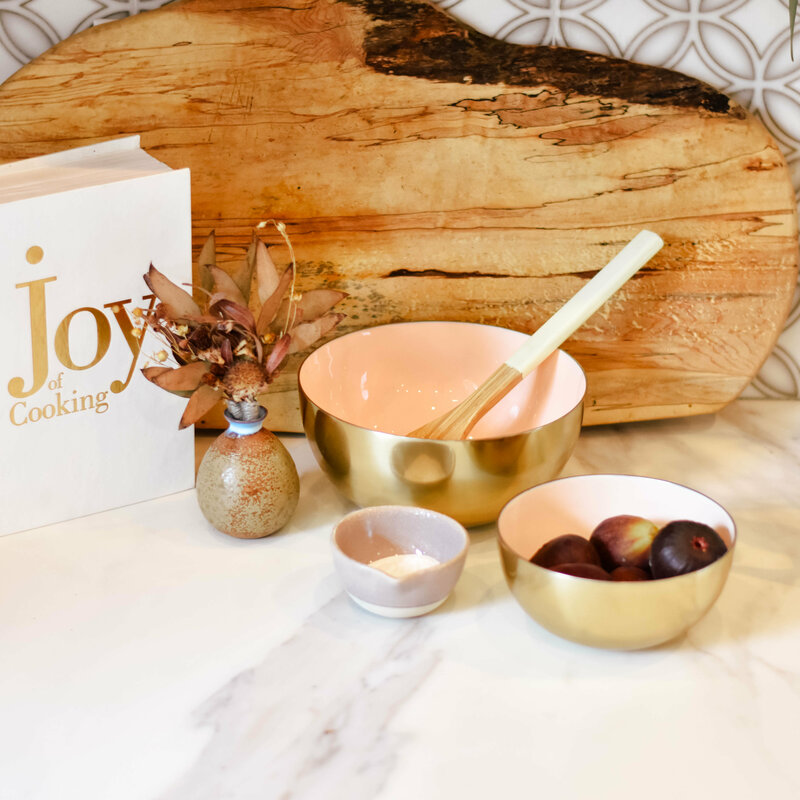 Find the smaller bowl also in our "Kitchen" section.